The busy pace of work often makes us regret not being able to keep company with our cats and dogs. It also makes us easy to ignore some of the subtle changes in adorable pets. Often when they appear to whimper or have no appetite, pet owners will find it too late to cure them. PETKIT FIT P2 is an intelligent product designed for pets. Take dog as an example, pet owners can put magnesium alloy shell waterproof pendant buckle on the dog's collar. 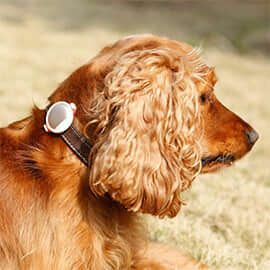 After connected it with the mobile phone via Bluetooth, eight date (Calorie consumption, sleep quality, and mood swings) of the dog can be recorded. Then we can obtain disease warning according to data analysis.